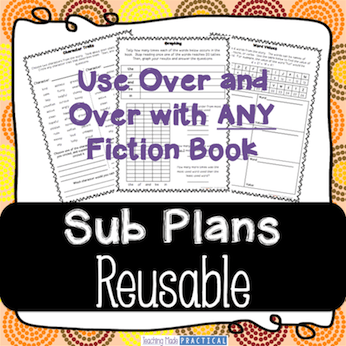 A character traits lesson plan is likely going to include students reading a fictional story and filling out a character trait graphic organizer. 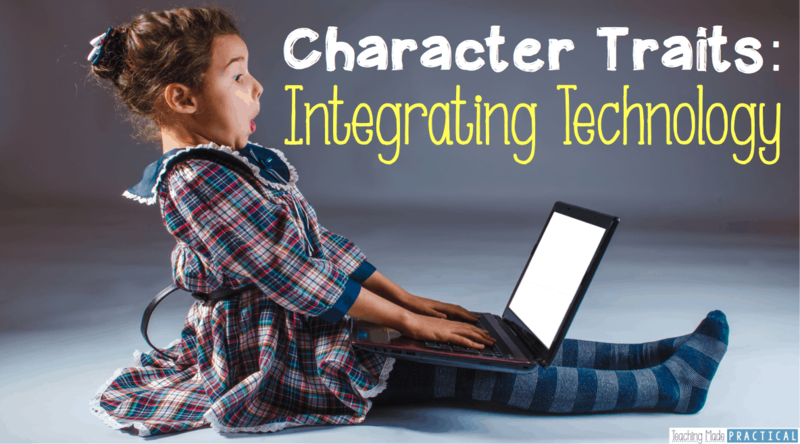 However, there are several easy ways to integrate technology into your character trait lesson plans and help bring your students into the 21st century. 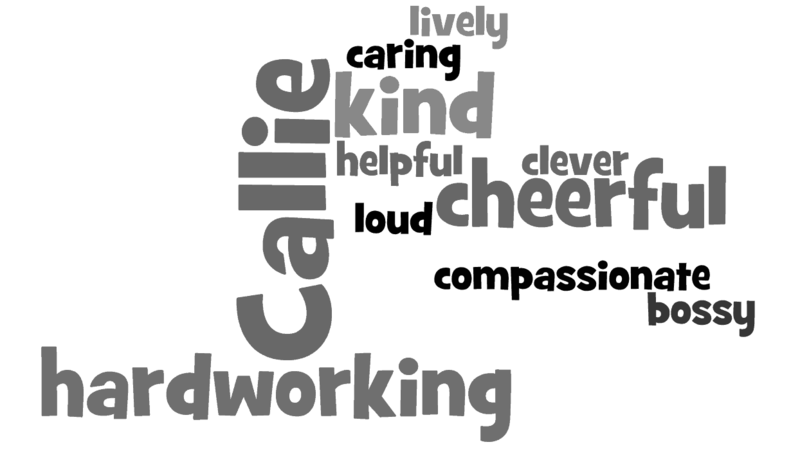 One of my favorite ways to integrate technology while teaching character traits was to have my class create a “Character Traits Wordle.” A Wordle is a word cloud that you can create using whatever words you want to include. Words that are used more frequently are bigger than the other words. Students can create their own Wordle simply by coming up with character traits that describe themselves and typing those words into the Wordle program. If they want certain words to show up larger, they simply have to type those words more frequently. The Wordle website is fairly easy to use, making it ideal for upper elementary students that are just starting to use the Internet more often. You might also be interested in this Main Idea Wordle lesson. Another way to integrate technology into your character traits lesson is by having students take pictures of different character traits being acted out. You can do this using digital cameras or iPads, depending on what technology you have available to you. Divide your students into groups depending on the number of cameras you have available, and then assign each group several different character traits to photograph. 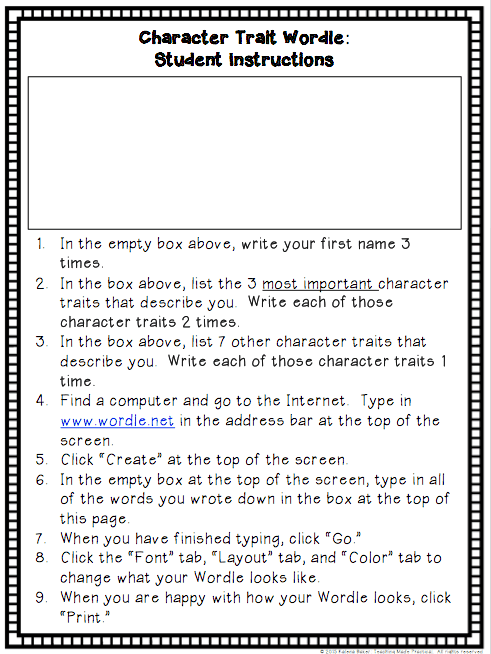 (Use this Character Traits List for help coming up with different character traits.) Students will have to get creative thinking about ways to display different character traits in a visual way. 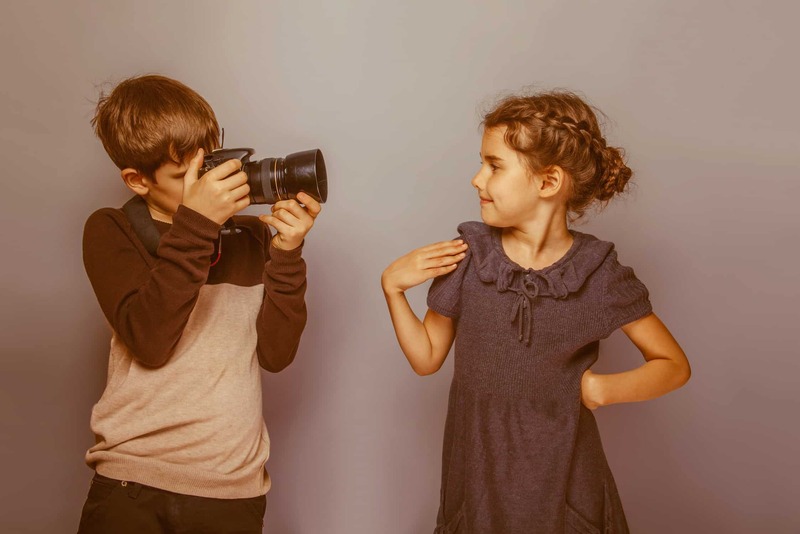 After groups are finished photographing, display the different pictures to the class and have them guess what character trait was being photographed. The better the students did at coming up with a visual way to represent a character trait, the easier it will be for the class to guess the character trait. You could also have students use the pictures they took to create posters of the different character traits to display. If you want to integrate technology while also building your students’ character trait vocabulary, introduce them to an online thesaurus like thesaurus.com. Although it is important for students to know how to use a paper thesaurus, it is equally important for them to understand the many resources available to them online. Assign each student a character trait and have them use the thesaurus to find synonyms for their character trait. They can then share these traits with the class or with a small group. Or, you can use these lists to create a Character Traits Word Wall. Although using an online thesaurus is not an activity that will require much student creativity, it is an important skill for upper elementary students to learn. This is a tool that they will use throughout the rest of their education and possibly for the rest of their lives. Upper elementary students should also be introduced to the thesaurus available in Microsoft Word and Powerpoint.